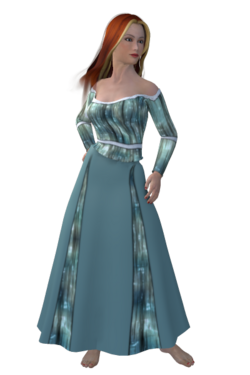 Texture Challenge 33 is a two piece maxi dress outfit for Dawn. The set includes a long skirt and a long sleeve top. The Poser version comes with a choice of conforming or dynamic skirt. The DS version was done in cooperation with ByuDragonBreath.